The Papua New Guinea's semi-professional competition the National Soccer League is set to kick-off its 2015-2016 season on 14 November. NSL is calling on franchise clubs to submit their expression of interest with a fee of K5000 before closure of business at 5:00 pm today. This is limited to only five for the Southern Region and five for Northern Region with preference to those that address all affiliation criteria. Criteria include franchise clubs must be incorporated as a company and be registered with IPA and there is to be no conflict of ownership. Clubs must either have their home ground or demonstrate their ability to have their own ground within 3 years. They must also be able to adequately demonstrate their ability to meet all financial commitments during the season. The annual affiliation fee is K60, 000 and must be paid before 30 October. The franchises are also ask to submit in their master list of players including the team management with two original passport size photos and must be hand delivered before 30 October. Ten franchise clubs have expressed interest to participate in the 2015-2016 National Soccer League in November. They’re Besta PNG United FC, Admiralty FC, last season’s minor premier Hekari United FC, champion Lae City Dwellers FC, runner-up Madang FC, and newcomers PS Huawei FC, Erema FC, Gigira Laitepo FC, Morobe United FC and PKA Rapatona FC. Gigira Laitepo is making a comeback after missing out last season. Four franchise have shown interest but have yet to submit in their expression of interest. They are FC Port Moresby, Lakatoi FC, Goroka FC and Tavur FC. 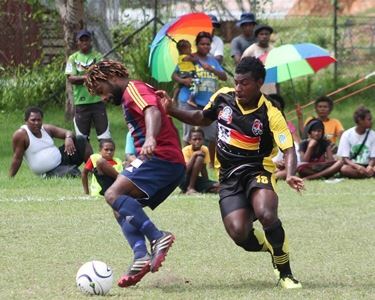 The TNSL board with endorsement from PNGFA advised that all franchise teams will be responsible for travel and accommodation costs out of the normal regional competition except for the semi-finals and grand final.